Those piping skills were learned making pies at the local KFC–no lie! High school was so much fun. Anyway, years later, I was working in the tech industry, and an opportunity arose to combine two of my passions (tech and food, in case you were wondering <g>). Long before blogging, before the term “social networking” came into play, and truly, before most people had even heard about “the Web,” there existed a service called CompuServe. It was there that Webicurean found its humble beginnings–as part of the Internet Fun Forum, and eventually as a featured column on CompuServe’s main menu. In those early years, Webicurean’s goal was not only to write about food, but to curate the best that the fledgling Web had to offer. Topics ranged from chili cookoffs to buying fish online, and in addition to bringing you the best related sites, a story would unfold. Yes, indeed, I am an Internet relic. So, here we are today. 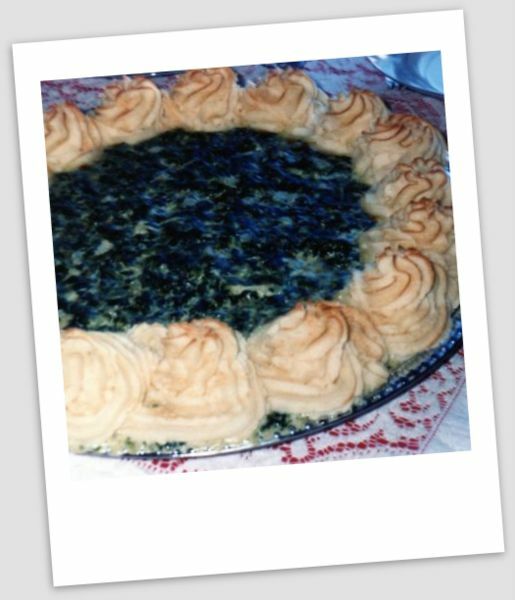 And as it turns out, hundreds of recipes had been posted over the years. Who knew! Many have already been converted into the new blog format, and the remaining will be added over time. Eventually I plan to retest each recipe, and post with mouth watering pictures. 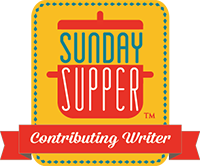 Beyond that, I’ll be featuring family recipes, passed down for generations, both Swiss and Italian, as well as other recipes from some of my favorite sources, both old and new. Did I mention that I *love* vintage cookbooks? 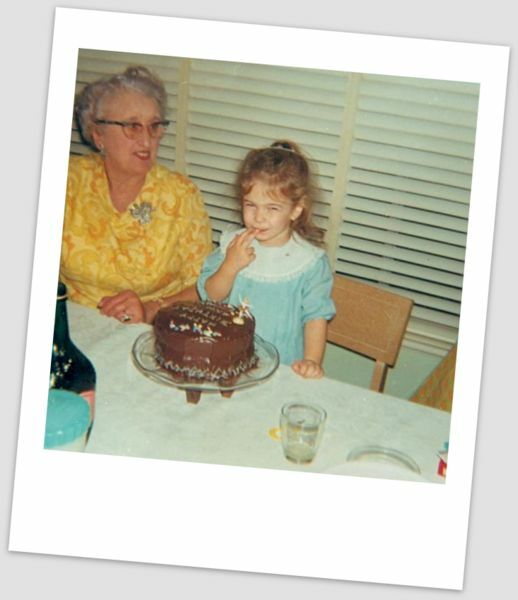 Along the way I hope to share a little history and the stories that make these recipes special. I look forward to having you join me on this journey. My mom’s easy Zucchini Frittata seemed to be a logical first choice, especially since she’s been having me make it for her a lot lately. This is mom’s comfort food. Frittata is the omelette‘s less fussy Italian cousin. Frittata comes from the Italian word fritto, literally “to fry.” According to the Oxford Companion to Food , however, it may have in fact originated in ancient Persia (kookoo or kuku) or early Arab cuisine (eggah). However it got here, for my family, the frittata is a quick and easy meal, and a great way to make use of leftover veggies. Since I’m making one special for you, we’ll start from scratch… but keep in mind, this recipe is extremely versatile–swap out the zucchini for leftovers, use whatever cheese you want, as this instruction is more about the technique, and the possible combinations are endless. First we begin by chopping onions and garlic, and slicing up the zucchini. 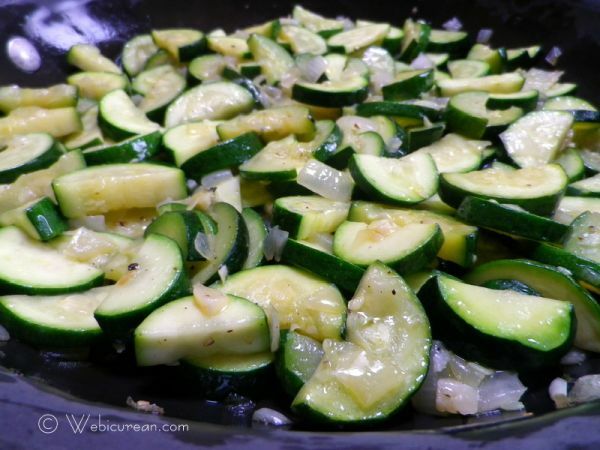 These get sauteed in olive oil until the onion is translucent and the zucchini is mostly cooked. Next we beat the eggs, with a splash of milk, thyme and salt and pepper. OK so I forgot the thyme, but the end result still tasted great! 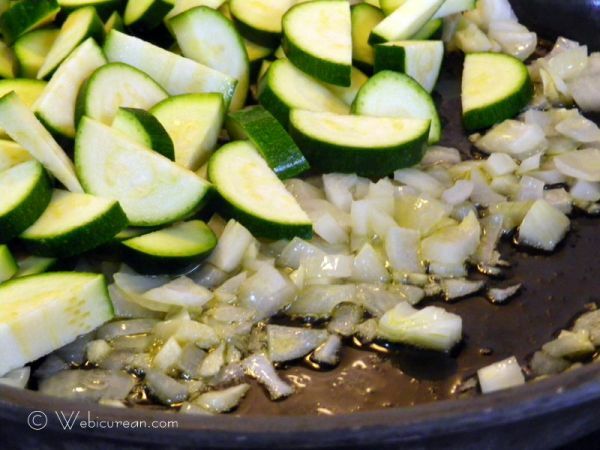 Make sure the zucchini mixture is spread evenly in your pan. Top with a generous amount of cheese. It’s OK if you want to toss on a little more. No one will fault you. Promise. Cover with the egg mixture; then bake until golden brown. Serve yourself a generous slice with a little salad and some wine–you deserve it! What is your favorite frittata recipe? 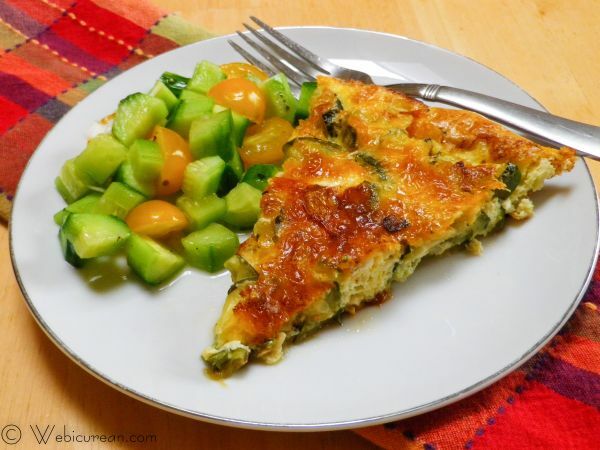 Quick and easy frittata, makes great use of leftover veggies. 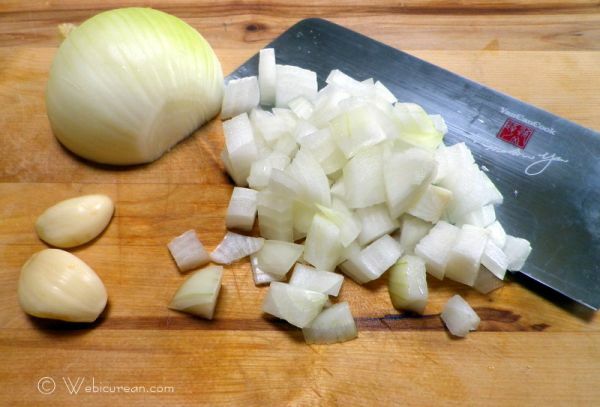 In a large, oven-proof frying pan, sautÃ© onion and garlic in enough olive oil to coat pan. Add zucchini and stir until onions are translucent and zucchini is mostly cooked. If you do not have an oven proof pan, at this point you should transfer the mixture into a baking dish. Cover mixture with shredded cheese. 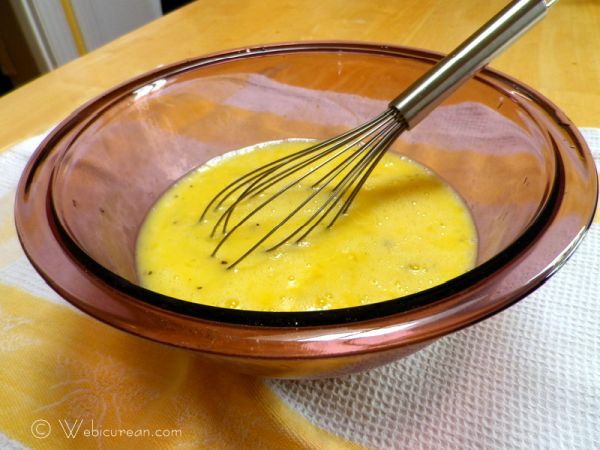 In a large bowl, beat eggs with milk, thyme and salt and pepper to taste. Keep in mind that the cheese is adding saltiness too. 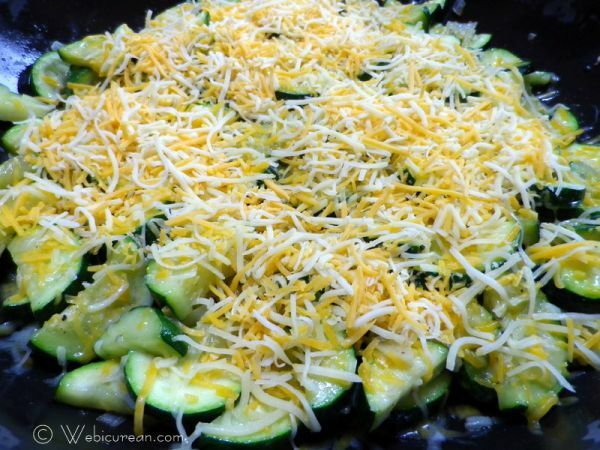 Pour egg mixture evenly over zucchini. Bake 45-50 minutes or until done (top should be golden). In the pictures you'll see I used a fancy shredded Mexican trio. This dish can be made with virtually any vegetable and any cheese--try mixing it up to suit your tastes! 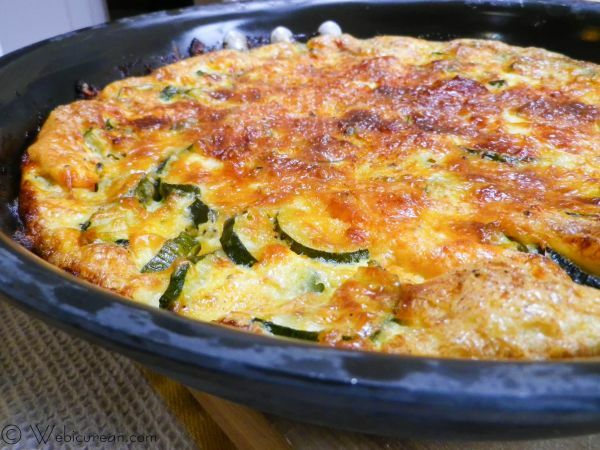 I love Frittata and zucchini is a great ingredient to put it in. Thanks for sharing this recipe!